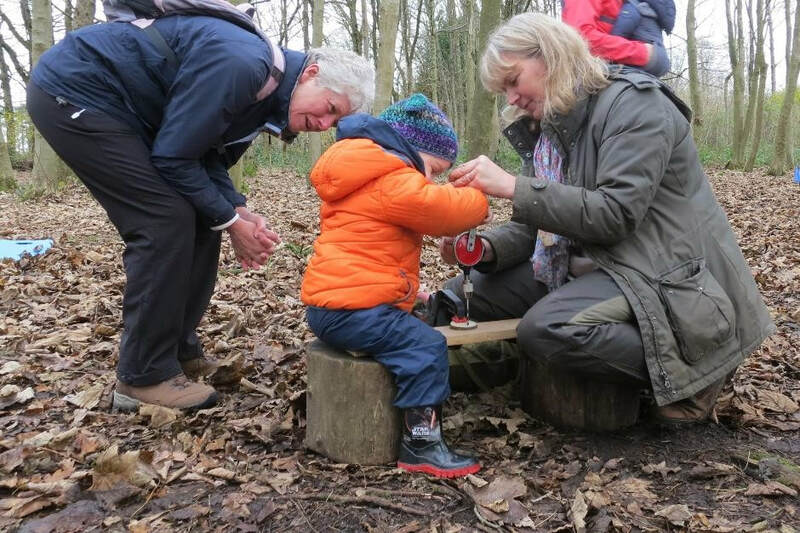 ​Weekly outdoor sessions for toddlers and pre-schoolers in our beautiful woodland near Petersfield. For 2-5 year olds, accompanied by a parent, grandparent or guardian. We can only accommodate younger non-mobile siblings i.e. babies in slings/all-terrain buggies. For safety reasons, we cannot accommodate under 2s who are crawling/toddling unless supervised by an additional adult. ​Forest School allows all children to learn and develop through playing regularly in the natural environment. They will have opportunities to learn new skills and time to explore the woodland and build relationships. ​​Forest School happens over time. If children attend regularly it develops their motivation, stamina and motor skills. It also supports emotional and social development, and increases confidence. Each child will get the chance to develop their own interests within the Forest School setting. ​The activities will change with the seasons. You will experience . . .
All safely managed by our qualified and experienced Forest School Instructor. The cost is £85 for the 10 session term, with £42.50 due at the time of booking and £42.50 due by the end of May. For further details, contact Polly. Do bring a snack and a packed lunch to eat after the session or head to our Beech cafe on site for lunch. On arrival please come to the main reception to register. Wood Mouse Forest School takes place in a dedicated area in the woods. A parent/carer must attend with participants throughout all sessions. In accordance with our child protection policy and the Data Protection Act 1998 we will not permit photographs, video or other images of young people to be taken without the consent of the parents/carers. Photographs and films of children engaged in educational activities at the Sustainability Centre are very useful for us to celebrate the work that we do. They help us to engage other schools and groups to come and benefit from our wonderful site. We of course respect the right for people to decline in having their photograph taken. Before we use any images or film for professional purposes, the Sustainability Centre must have received a signed completed Photography and Filming Consent Form. The images are stored safely in protected files and all images are checked for suitability and appropriateness by our Education Team Data Controller before being used. Only staff from the Sustainability Centre will take photographs. For more detail our Photographing and Videoing Children Policy is available upon request from the Education Team. ​A copy of our Photographing and Videoing Children Policy is also available upon request. The Sustainability Centre will take all steps to ensure these images are used solely for the purposes they are intended. If you become aware that these images are being used in appropriately you should inform the Sustainability Centre immediately.